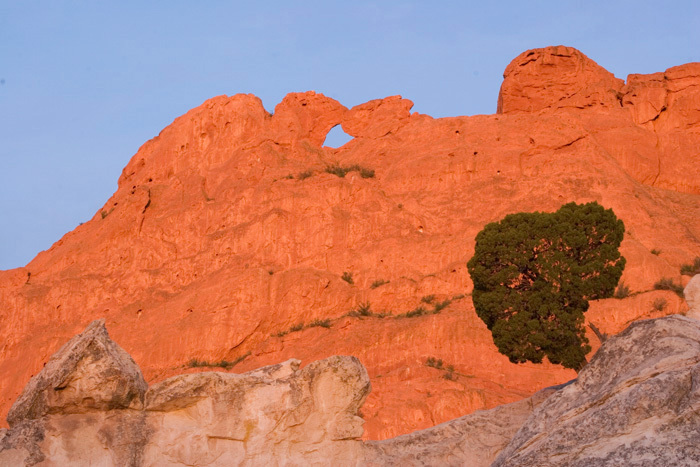 The towering Garden of the Gods rock formation is a free 1,340-acre city park located in Colorado Springs. This photo of the Kissing Camels was shot at sunrise. The red sandstone rock formation turns a brilliant orange for only the first 5 to 10 minutes after sunrise, so a photographer has to work fast to capture the proper light. Photo © copyright by Mike Barton.